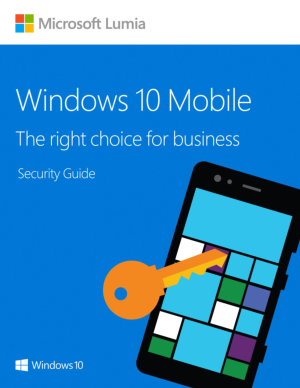 Windows 10 Mobile is built for business. From small proprietorships that can't afford to be distracted by technology to large global enterprises with complex IT needs, policies, and infrastructure, Windows 10 Mobile makes it easier to innovate and extend business mobility. Business users have the intuitive experience and functionality they need to do great work, and IT has the power to ensure devices are secured and well-managed. Windows 10 devices share a common application platform, the Universal Windows Platform (UWP). Applications can be built on UWP to run equally well on phones, tablets, and PCs. Developers can target multiple device types with a single application, making it more efficient and cost-effective to empower mobile workers.